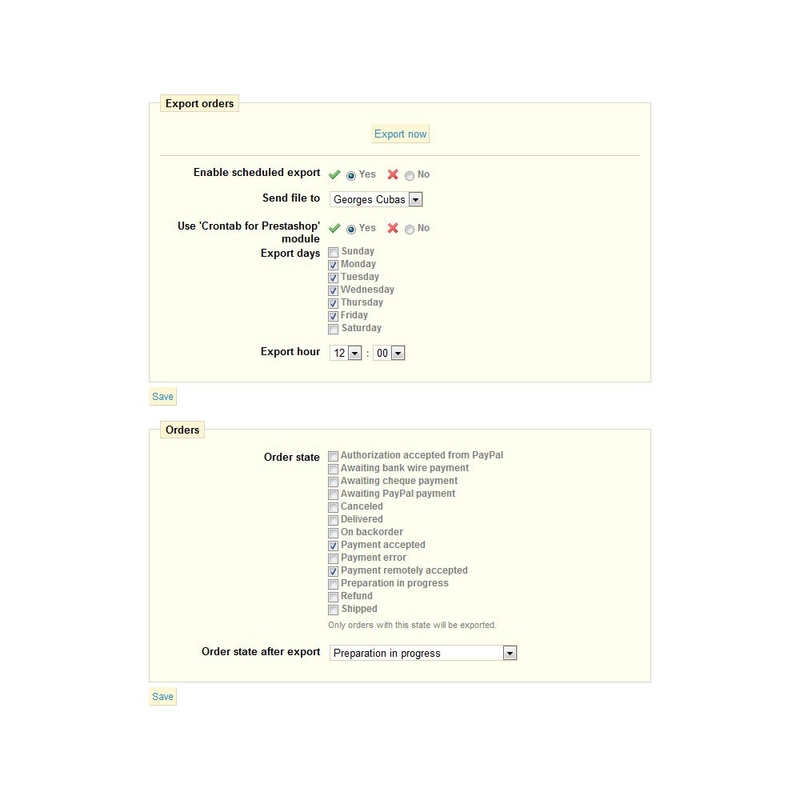 Facilitate the processing of the orders by exporting products in the format CSV according to their status. Win a precious time with the possibility of receiving automatically this export by e-mail. Alleviate the steps and manipulations between the registration of an order processing and shipment, thus saving valuable time. 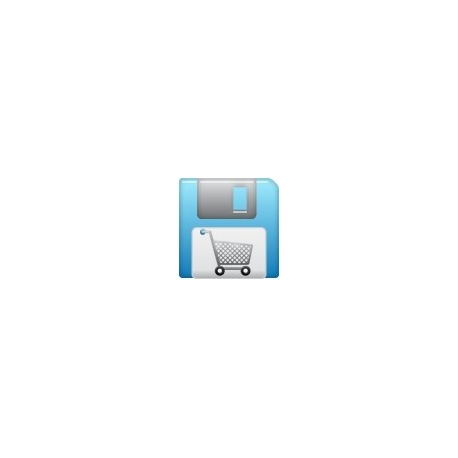 Synthesize the product lists and be able to move from one program to another without further modification. Have the ability to automate the creation of lists of products. 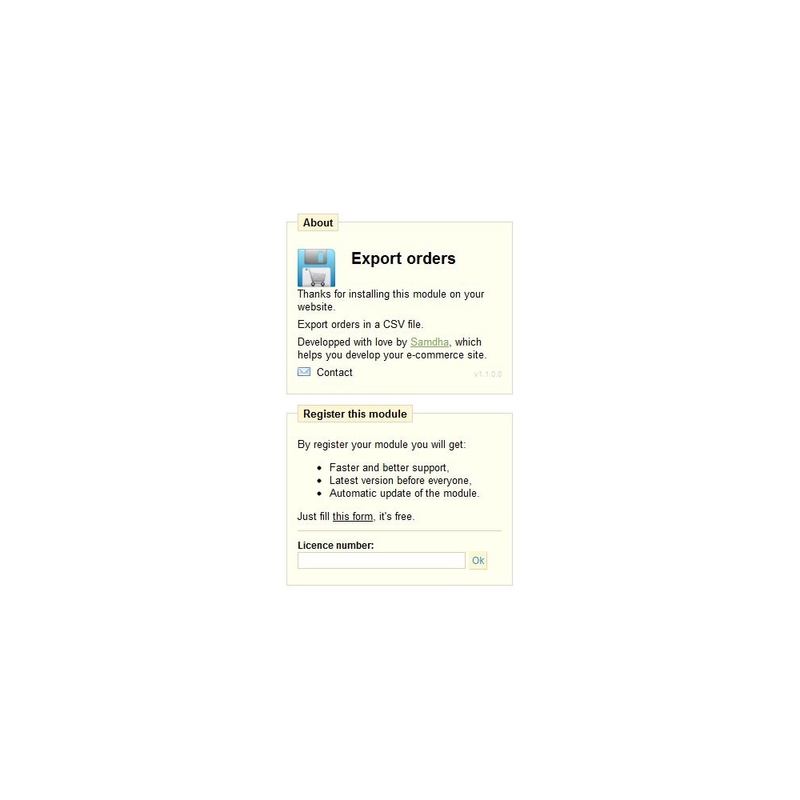 With a few clicks, export the products of all orders based on their current status, in CSV format. Generate a list and easy to use for preparing or switching to another program (for accounting or inventory management, for example). Choose to automatically send this export by mail to the person of your choice at the time wanted. For example the person responsible for preparing the control can receive the list of products each day to prepare the accounting department or the order details or you to avoid wasting time to return to process each order. 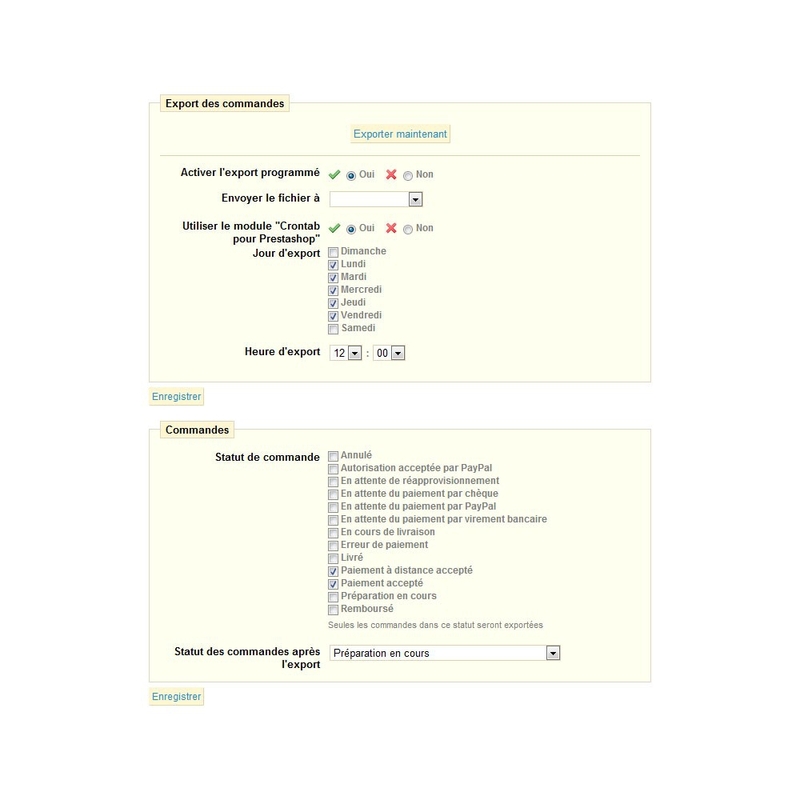 Set the controls for export, and the status they have after export. Choose between manual or automatic export, customizable dates and times that suit you. 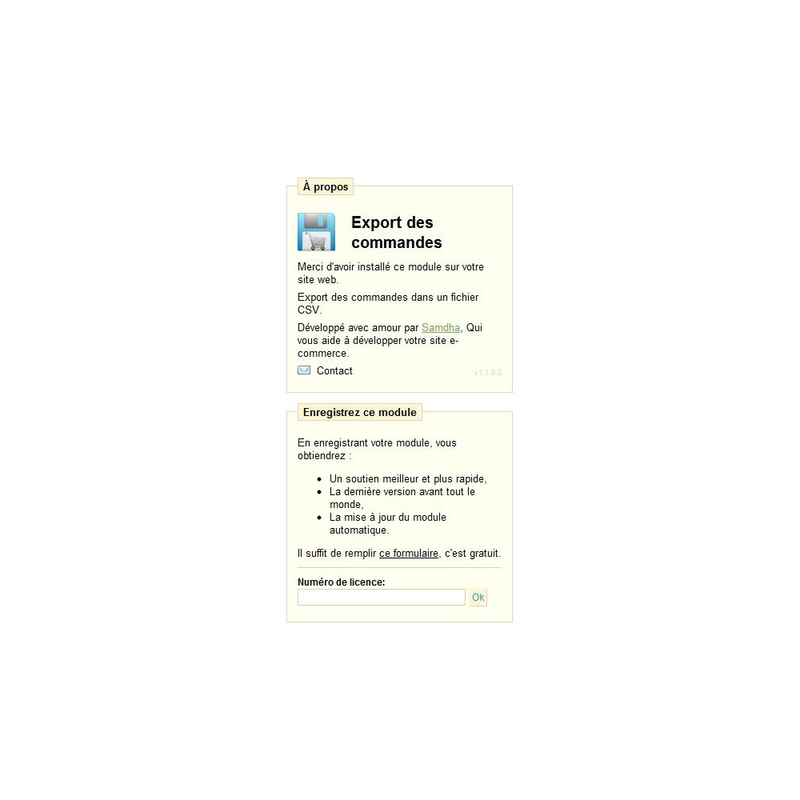 For automatic export you can use (among other solutions) Module "crontab for Prestashop" available for free. This module offers personalized support and an automatic update if you register with the professional author.